Okay, this may be one of my absolute silliest Disney stories that I have, but it is one of my favorite memories! During my husbands very first Disney trip, in 2008 we only had 2 days to visit the park, and knowing that we only had the two days, I selected Hollywood Studios and Epcot. I knew that my husband would love the World Showcase and seeing all the cultures, so we spent a lot of time in each country. We started in Mexico and eventually made our way to Canada. I really should have pluralized a bunch of the categories on the list, because today is yet another hard decision for me. With that being said, I think I’m going to have to go with favorite gift “shops” instead of just one shop. So, away we go! Epcot- Mitsukoshi Department Store, is fabulous. It is located in the World Showcase’s Japan Pavilion. It is HUGE and there is a ton to look at. It has a lot of nick nacks, and is just really fun to check out. They have a wide assortment of Japanese snacks and candy, which is always fun to try, as well as a spot to purchase sake flights. Perhaps my favorite part is watching someone pick a pearl! Click here to read my post (and watch a video) of me picking my pearl in January! 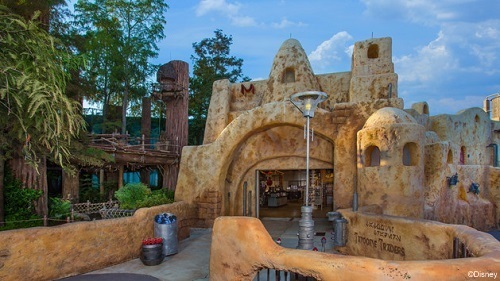 Hollywood Studios- Tatooine Traders is the gift shop at the end of the Star Tours ride. I LOVE Star Wars, and this gift shop is like geek haven. I always end up buying a t-shirt for my brother and saving it for his Christmas gift 🙂 Oh and for added fun, build your own lightsaber! 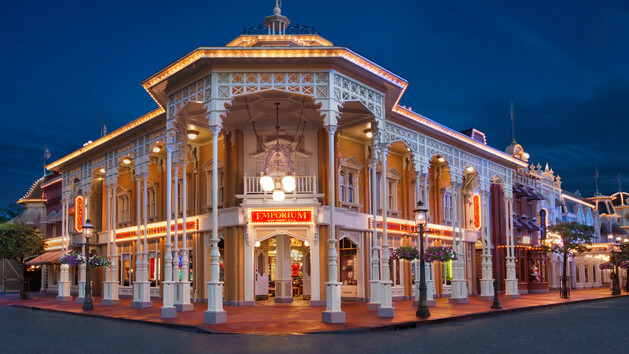 If you’re interested in planning your own trip to check out the amazing shops that Disney has to offer, be sure to contact Ashley@charmingtravelsllc.com. Her planning services are always free of charge! Take the hassle out of your planning! Contact her today for your free quote! With SO many different options to choose from this is a very another difficult choice to narrow down. I’ve had some amazing meals at all of the parks. They all bring something unique to the table (pun intended). 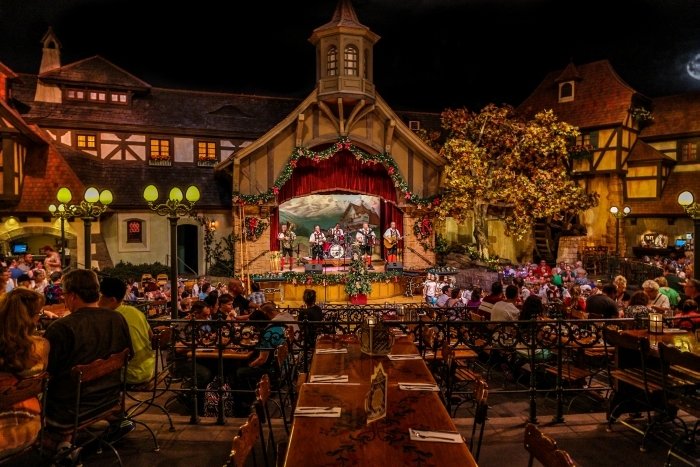 Many offer unique experiences with entertainment, or characters, and some just dazzle with amazing food, and atmosphere. We try every visit to experience new dining, and I have certainly not been to every restaurant. I’ve been to quite a few, but not all of them. The location that we visited last summer that has stood out in my mind is Biergarten in Germany. We loved the live entertainment that happened during the meal. It was fun to watch people abandon their seats and get up and polka with the live band! We also enjoyed the seating. We were seated with another family and had the opportunity to visit with them and get to chat. (This isn’t for everyone, but we really enjoyed it) and then there is the FOOD!!!! It’s a buffet, so you get the chance to try many different foods, and if you don’t like something you’re not stuck with it. I enjoyed just about everything I tried! While we try to visit as many new restaurants as we can on each trip, this is one that we are revisiting on our upcoming trip because we enjoyed it so much last time! 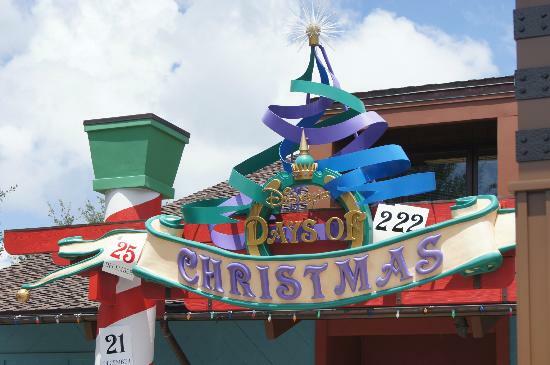 Thinking about planning your next Disney vacation? Be sure to email ashley@charmingtravelsllc.com! She can help with all of your planning needs, and best part is that her services are free of charge! Email today for your free quote! 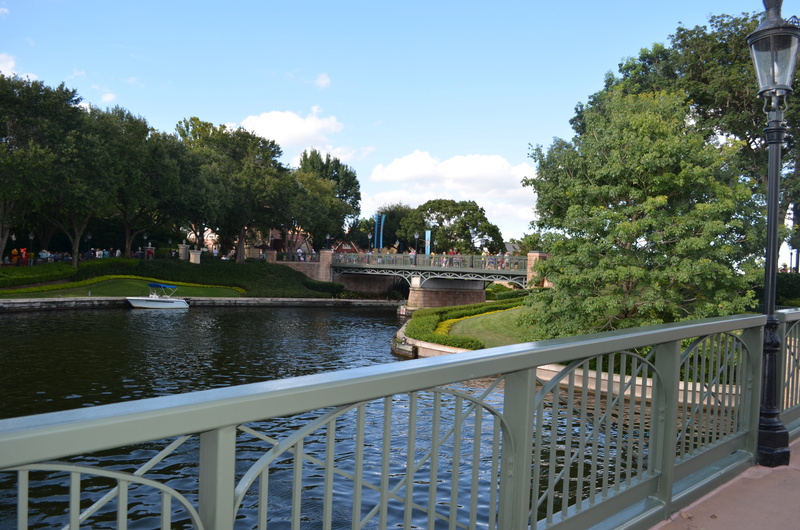 Within the 1.2 miles of the World Showcase at Epcot there are 11 countries, and something for just about everyone. There are shows, attractions, live music, shopping, and enough food and drink to make anyone want to be rolled out of Epcot! For me, I love just about EVERYTHING in the World Showcase, and think that each country’s pavilion is special and unique in its own way. This maybe the hardest decision I’ve made yet in the 30 day challenge. My top two finalists are Mexico and Japan, and after much consideration, I’ve concluded that Mexico is my favorite pavilion. * The inside of the pavilion is just beautiful. I love the feeling of the open air market and how it is set up with individual “puestos” or stands. 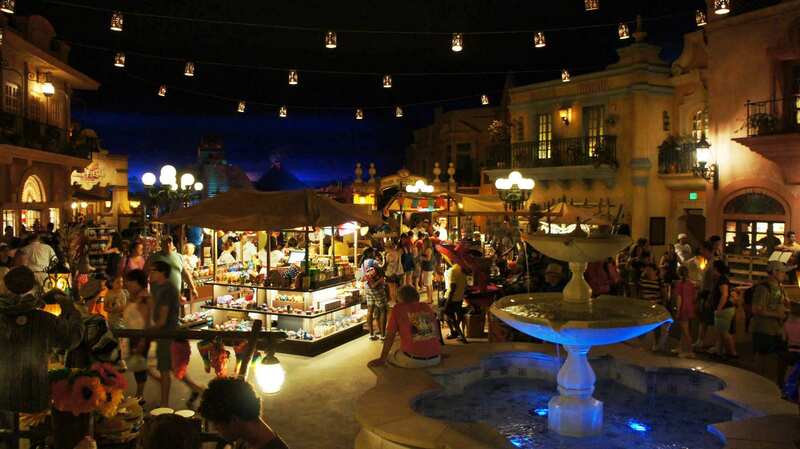 * La Cava del Tequila offers the best margaritas on Disney property (at least in my opinion!) I love love love margaritas. They are probably my all time favorite libation. They have an amazing pineapple margarita that I look forward to on every trip! 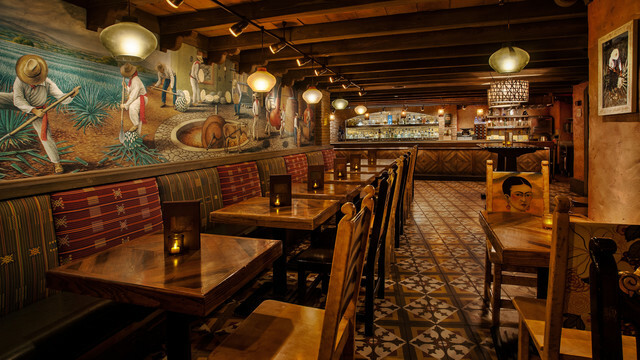 They offer flights of tequila and small plates (for a more intimate experience check out “Wind Down” at La Cava del Tequila.) AND Neil Patrick Harris is a semi-frequent visitor at La Cava. It is my dream to meet him there sometime haha! * Inside La Cava del Tequila there is a really cool mural that shows the process of how Tequila is made, and there is a representative from Tequila Mexico on hand who will explain the process of how tequila is made from the agave plants. I think it is fascinating, and a great cultural experience. 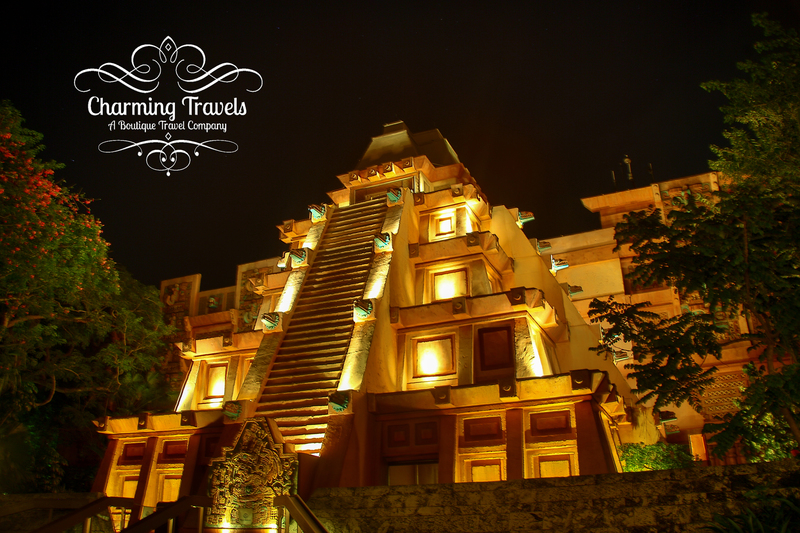 * In addition to all the fabulous things you can see inside there pyramid, there are additional puestos outside as well as meet and greets with Donald Duck (my hubby’s favorite character) and live mariachi music. I think this is one of the most well rounded countries in the world showcase! There is so much to do and see! Amazing food, amazing drinks, culture… this pavilion has it all! For many I think this would be a hard question- “What is your favorite Disney Park.” All of the parks have their great qualities, however, Epcot is without a shadow of a doubt, my favorite Disney park. I love everything about it! I love the learning is available there, I love that you can experience many cultures in one place, and I love the FOOD! 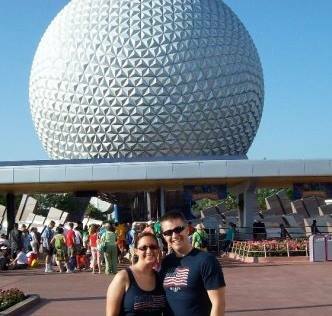 Epcot is special to me as well because that was the first Disney park that my husband ever got to experience. On our way to my best friends wedding in Siesta Key, we stopped in Orlando for only one day, and could go to one Disney park. I choose Epcot for him to experience, and now it is his favorite park as well! If you’re interested in booking your own trip to Epcot and the other Magical Parks at Walt Disney World or Disneyland, be sure to contact Ashley@charmingtravelsllc.com for your free quote! Do you enjoy flavors from around the world? 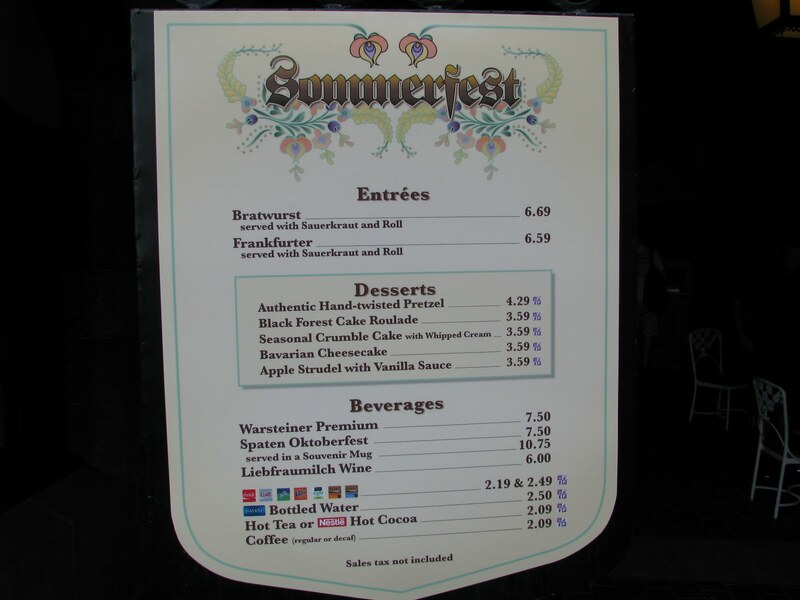 Tuesday’s Tip- Think about using your snack credits at Epcot’s world showcase! I know from personal experience that the portion sizes on many Disney entrees are quite large. My husband and I often end up sharing a snack, if and when we get them at all. Don’t let those snack credits go to waste though! There is no stipulation on how and when you use your dining credits. So let’s say you’re doing a 5 night, 6 day stay for 2 people. Between the two people you’ll have 10 snack credits (at minimum with the quick service plan). You can use all 10 snack credits in one day if you wanted to. Using those snack credits in the world showcase can not only be a good value for your snack credits, but can also allow you to indulge in the flavors from around the globe! Norway- The sweet pretzel with chocolate is the best value at $4.49, but one of my favs is the School Bread. It isn’t a great value as a snack credit at $2.69, but it sure is tasty! If you’re looking for something a little healthier, you can also use a snack credit on a salad with a $3.99 value. All of these options are available at the Kringla Bakeri Og Kafe. China- I am not a fan of Egg Rolls ($3.99), but this is one of the few options if you’re looking to use a snack credit in China. You can also use your snack credits for iced and hot tea if you’re thirsty. Prices on the tea range from $3.19 to $4.25. Germany- You’ve got to do the Authentic pretzel in Germany!!! Super yummy! The price of $4.29 makes it another excellent value for the snack credit. These are available at both Sommerfest and the pretzel carts. 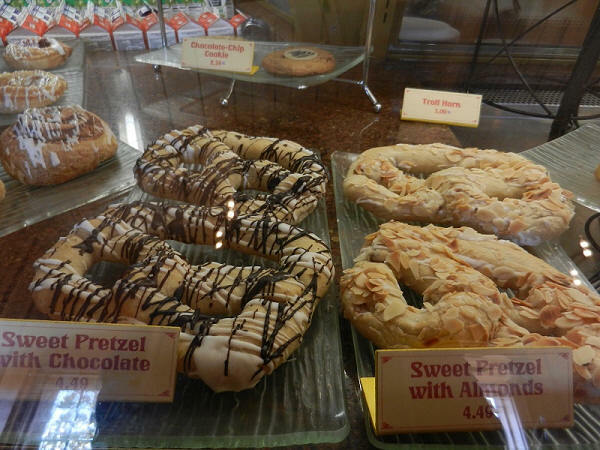 The American Adventure- This one is easy for me… I’d have to go with the Jalepeño cream cheese stuffed pretzel! The price of $4.29 makes it a great value, and so many other pavilions have sweets as their snack credits that this one is a nice change! You can find this at the Fife and Drum Tavern. If you want even more bang for you buck on a snack credit go with the chili cheese fries at Liberty Inn. Japan- Mmmmmm sushi! There are three sushi options all coming in at $4.98. 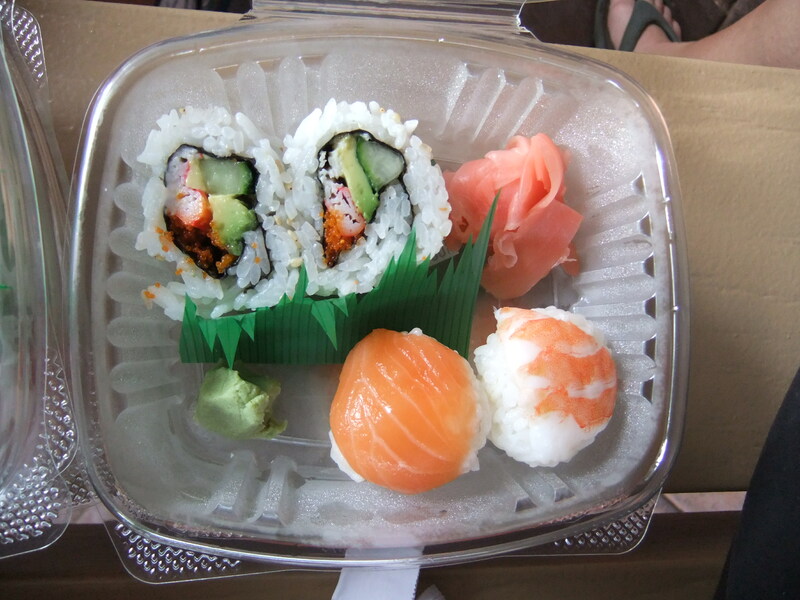 Yummy and an excellent snack credit value, found at the Kabuki Cafe. Morocco- has one of my favorite snacks in the world showcase, the tangerine cous-cous salad. I know it sounds weird but you can order this side dish and its super yummy. 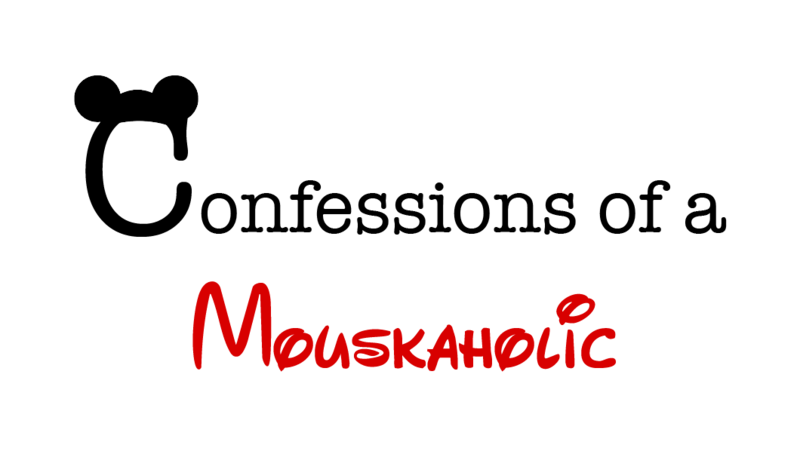 Unfortunately, no snack credits are accepted in Morocco. They also offer tabouli and hummus. It’s a real bummer that they don’t take the snack credits, but out of pocket these snacks are only $2.99. France- Welcome to the mother load of snack options! The lobster bisque is the most valuable use of a snack credit as it is $4.90, but one of my favorites is the bacon and cheese roll. There are TONS of snack options here, and you really can’t go wrong. Everything is wonderful! England- What would a trip to England be without Fish and Chips? The fish and chips aren’t a snack credit, but you can get just the chips with the snack credit. Only $2.69 it’s not the best snack credit value, but sure is tasty with some malt vinegar! Canada- There is no quick service restaurant in this pavilion and there is only one snack cart. There you can use a snack credit on pop corn, but it isn’t unique to Canada. My recommendation is to go in the gift shop and look for unique Canadian candies or treats that are imported. Remember to look for the logo that indicates that it is a snack credit!